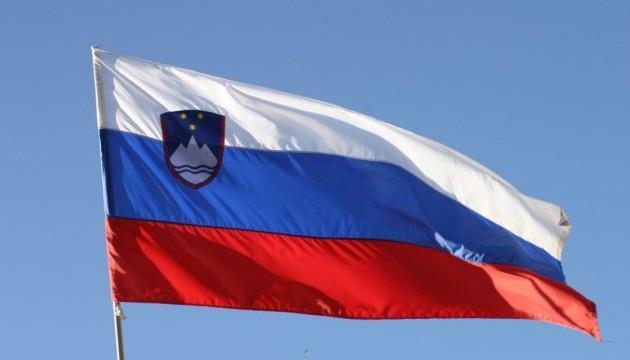 (MENAFN - UkrinForm) Today, February 12, the official opening of a Ukrainian-Slovenian Business Forum took place at the Ukrainian Chamber of Commerce and Industry in the framework of the eighth meeting of the Joint Ukrainian-Slovenian Commission on Trade and Economic Cooperation. Ukrainian Culture Minister Yevhen Nyshchuk, the head of a Ukrainian delegation of the Joint Ukrainian-Slovenian Commission on Trade and Economic Cooperation, notes that today is an important day in the development of partnership relations between the two countries, in particular in their trade and economic sectors, since today Kyiv hosts two important events the Ukrainian-Slovenian Business Forum and meetings of the Ukrainian-Slovenian Intergovernmental Commission, the Government portal reported. In turn, the State Secretary of the Foreign Ministry of the Republic of Slovenia, Dobran Božic, the head of a Slovenian delegation of the Joint Ukrainian-Slovenian Commission, stresses that business forum is a good basis for strengthening the economy, establishing stable partnership relations and increasing the wealth of the state. The program of the Ukrainian-Slovenian Business Forum includes a plenary part, which will highlight the immediate prospects and priority areas of the Ukrainian-Slovenian economic cooperation, the conditions for doing business in Ukraine and Slovenia, the experience of integrating the Slovenian economy into a single EU market, Slovenia's business climate and investment opportunities and other issues.